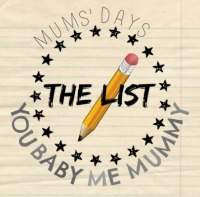 I was already to tweet the hell out of this and then realised you’d linked it in with #TheList, so let it be known I was sharing regardless…but thanks for linking! I love this post – it’s so funny what having the luxury of sitting a properly watching a kids program does for your appreciation of it…I’m like that with Peppa Pig – it does do my head in but then Grumpy Rabbit comes on and all is well with the world again. In fact I love all the Grandads in the show (the grannies and mums are a bit rubbish though, so I’m not such a fan of that). Sarah and Duck is so underappreciated. The fireworks dance is my absolute favourite too, and Cake making awkward jokes and annoying Sarah. It really is a fantastic show and I see that now! We love sea cows, I’m getting better at drawing them!